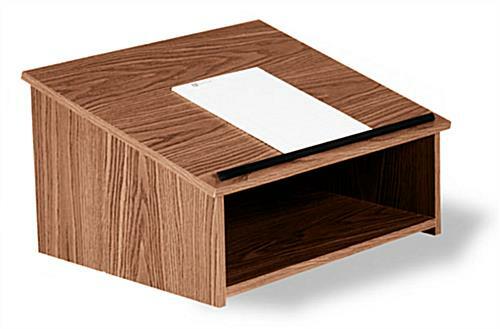 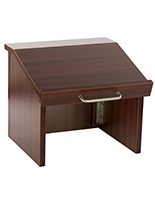 These wooden countertop lecterns are made of 0.75" thick laminated MDF and have an attractive oak finish. 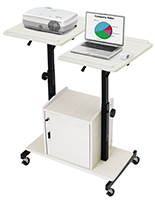 The podiums are great for conference rooms and classrooms because they can turn any countertop into a presenter's stand. 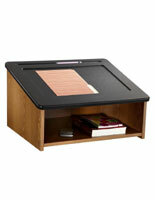 The countertop lecterns are more lightweight than floor standing models, making them more portable and easy to store. 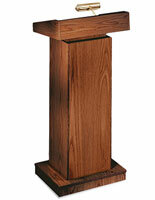 The oak pulpits feature an angled reading surface for presentation materials and a black lip that stops them from falling off. 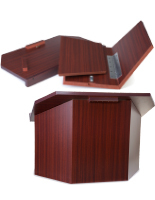 The portable lecterns also offer a large storage area for storing other supplies. 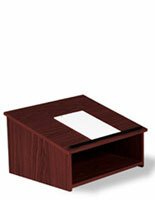 The laminated podiums for conference rooms require some assembly upon arrival.